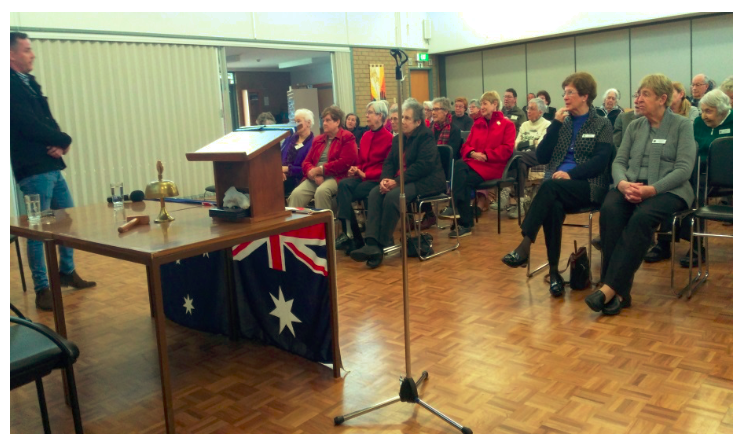 As part of the program of information sharing with the public, past trekker Glen Grant and Moose Dunlop OAM attended the club gathering at the Lutheran Church Hall at Pasadena 13 August. A large gathering of interested members listened as the philosophy of the Foundation was spelt out by Moose. This was followed by a first-hand description of the problems facing discharged defence force members attempting to gain employment while dealing with the military compensation system and DVA. A number of insightful questions followed, showing the empathy of the audience. The hat was sent around and a very respectable $320 was added to the coffers for the September trek. Our thanks go to the President and Glenda for their interest and to the members for the contributions.